China Dragon is a cornerstone in the Orange Beach community and has been recognized for our outstanding Chinese cuisine, excellent service and friendly staff. With over 20 years of experience in the restaurant business, we are known for our modern interpretation of classic dishes and use only high quality, fresh ingredients. We feature authentic Cantonese and Szechuan cuisine. 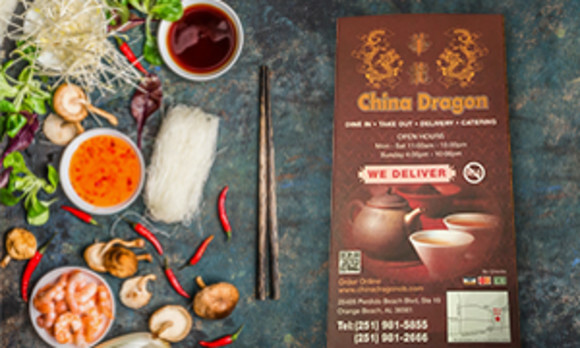 China Dragon offers onsite dining, takeout and delivery to Orange Beach, Ala. Visit our website to see today’s special and place your order online.